Android Market Receives Speed Improvements With Version 3.1.5, Download APK Now! Google has updated the Market app for their Android OS today which has received performance improvements, bumping up its version number to 3.1.5 from 3.1.3. 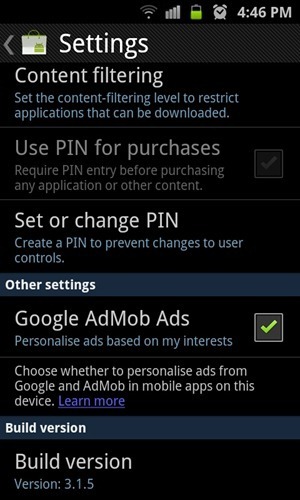 This is just a minor update compared to what was introduced in Market 3.1.3, which included new features like the ability to +1 apps and use a custom PIN code to ensure pesky children don’t purchase apps without your consent. The news of the updated Market comes from smartphone hacking community XDA-Developer Forums where user Rydah805 uploaded the just released APK. While, at the time, it was unknown what updates Market 3.1.5 had stored inside it, it has been revealed the new application is full of performance improvements which, of course, are always welcome. You can always wait for the app to update automatically but if you’re like us, you’d want to install it manually. Before we begin, we must backup your currently installed build of Android Market so that you can revert back to it in case anything goes wrong. For this, we suggest installing the root-only Titanium Backup [Market Link] which lets you backup your apps. Remember to enable Unknown Sources from Settings > Applications before you begin so you can side load apps. Step 1: Download Market 3.1.5 APK to your computer. Step 2: Connect your Android smartphone with your computer via USB cable and transfer the APK you downloaded in Step 1 to the root (i.e. parent folder) of your phone’s storage. Disconnect phone after transfer is complete. Step 3: Use a file manager like ASTRO Manager [Market Link] on your phone to navigate to the location where you transferred the APK file to in Step 2. Step 4: Tap on the APK file and install it by following on-screen instructions. Alternatively, you may just download the APK straight to your phone and install from there. 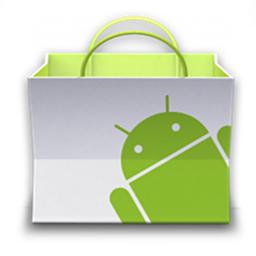 If you followed the steps correctly, Android Market 3.1.5 should be installed and working on your Android smartphone. We’ve personally tested the app on our Samsung Galaxy S II unit and can confirm that everything works normally. Do test it out for yourself and let us know in our Facebook comments section if you observed any performance improvements!